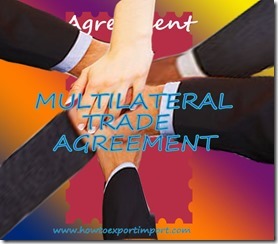 In this article, the information about multilateral trade agreement is explained. What do you mean by multilateral trade agreement? How does multilateral trade agreement work? What is the importance of multilateral trade agreements in world trade scenario? Multilateral trade agreements are made between two or more countries to strengthen economy of member countries by exchanging of goods and services among them. The multilateral trade agreement builds commercial relationship, trade facilitation and financial investments among member countries of such multilateral trade agreement. Compared to bilateral trade agreement, multilateral trade agreements are difficult in negotiation of agreement, as more member countries are involved in multilateral trade agreements. Up to the level of norms in multilateral trade agreement, the member countries are treated equally. The multilateral trade agreements can be formed in regional basis also. There are many multilateral trade agreements between countries worldwide regionally for the development of economy of each member countries signed in each multilateral trade agreement. SAARC (South Asian Association for Regional Cooperation), NAFTA (North American Free Trade Agreement) etc. are some of the multilateral trade agreements constructed geographically. The multilateral trade agreements are moved globally for public health, environment etc. also other than economic development of each member country and in turn over all development of world nations. 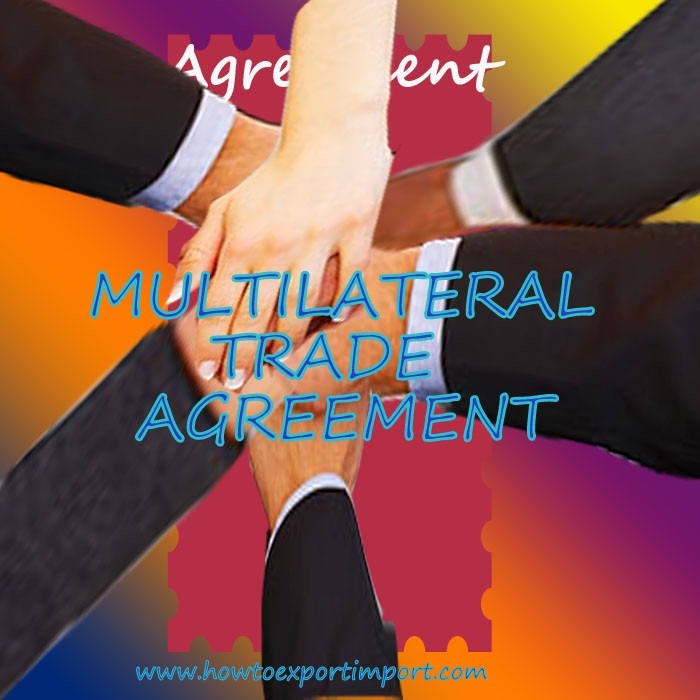 This article explained about the meaning of multilateral trade agreement, the importance of multilateral trade agreements in world trade scenario, the purpose of unity behind multilateral trade agreements and the benefits of multilateral trade agreements. You can also share your thoughts about this article about multilateral trade agreements.